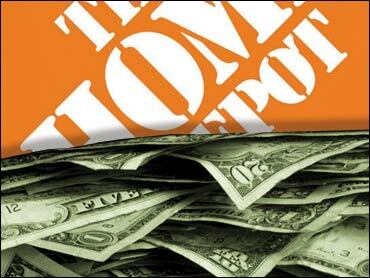 In an exclusive, CBS News has learned of a corruption scandal involving The Home Depot. In recent weeks, four Home Depot purchasing managers were fired at a meeting at an Atlanta hotel for their role in the scandal, reports CBS News chief investigative correspondent Armen Keteyian. The managers were allegedly paid enormous sums — totaling millions of dollars — to insure that certain flooring products made their way onto the company's shelves, which is among the most competitive retail real estate in the world. The world's largest home improvement retailer, The Home Depot boasts more than 2,000 stores. One source tells CBS News that CEO Frank Blake took immediate action upon learning of the scheme. On Thursday, the company is expected to hold meetings with employees to reiterate its ethical standards. The FBI is said to be investigating and had no immediate comment. When contacted by CBS News late Tuesday, the company confirmed the nature of the investigation and issued a statement saying it is "cooperating with authorities" and that "maintaining our ethical standards is of the utmost importance to The Home Depot."